Carl Jung classified four cognitive introverted functions: social introversion, thinking introversion, anxious introversion and restrained introversion. Find out below under which class your fall in and how it affects your mind. Note, we must be aware that social orientation is not an issue when it comes to social anxiety disorder. Social anxiety does not make a person exclusively an introvert; even extroverts suffer from social anxiety disorder. Researchers have carelessly assorted all other introversion forms into the social, thinking and restrained classes without considering that they are not mutually exclusive to three “types”. The problem is, true introverts would do the same. 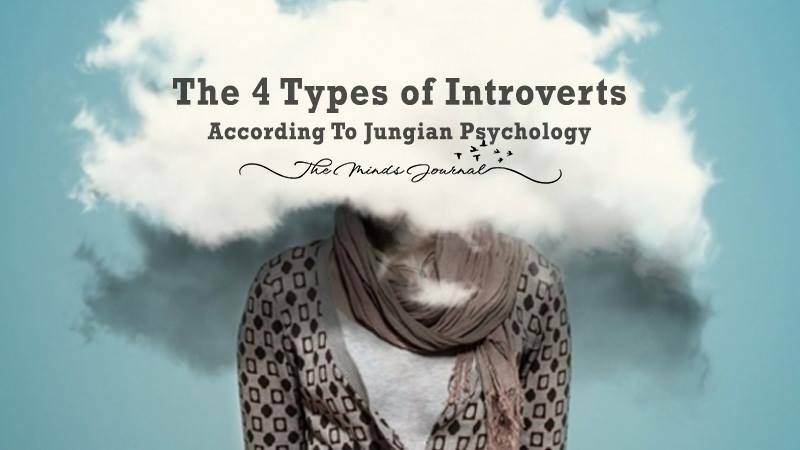 The Jungian definition of introversion classifies the different types of introversion into four mutually exclusive categories which we will dissect further below. Reality for sensing introverts is a mechanical process of breaking down observations, experiences, then meticulously sifting and sorting through them to find relevancy. Their detail-oriented mind constantly picks up patterns in behaviour and stores them for future perusal and use. Rules and tradition are the dictums for introverted sensors and they are keen to keep things in order- homes, selves and environment. Left to their own devices, introverted sensors keep themselves busy to making plans for the future, tidying up their lives and contemplating the past. Introverted feelers are the tortured souls who take on the life and its ever-changing meaning on a personal and deep level. The slightest social injustice or wronged victim set them off. They can be termed as highly sensitive and judge the world based on personal moral code created from past experience. They disseminate and absorb life around them in a subjective manner and are extremely creative at heart. They often lose themselves into the arts. Alone to surf their thoughts, introverted feelers let loose their wildest imaginations and make ideals to aspire to in the future. They use that time in isolation to merge meaning and moral together by a deeper understanding of an experience. Logic reigns in the reality of an introverted thinker. They dismiss the deeper meaning of truths and devour knowledge and facts. Their ultimate quest is to determination true information and false information. Being the true researchers and scientists in the world, they maintaining as much accuracy as possible while assimilating objective truths. In seclusion, they are building a framework of the mechanisms of the world in a rational and objective manner. They are sifting through a large database of information, grasping and cataloging new information in their midst, while researching tirelessly. In their free time, intuitive introverts seek to lay down the foundations of their future and planning ahead. They research to discover new ideas to place into their pre-existing worldviews by meditating and coming up with an abstract solution. They predict, plan and ponder the wonders of the world with their intuitive perception. Note: One of Jung’s guiding principle was that each being embodied both introverted and extroverted traits. Therefore, an intuitive introvert maybe an extroverted feeler and vice versa. Furthermore, it was Jung’s belief that each of us possess two extroverted cognitive functions and two introverted cognitive functions. It must be kept in mind that all these functions of the extrovert and introvert are mutually exclusive.